Just in time for the Breeders’ Cup weekend, “Mr. Ed” is back on local television. 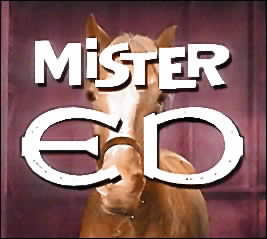 That classic TV show about a talking horse is part of the schedule of WNGS, Channel 67, which returned Wednesday on many Time Warner Cable systems on Channel 5. WNGS, which formerly carried the Retro Television Network on Channel 11, quietly returned to cable after a six-month absence in which it was first sold to a religious network and more recently sold to a local buyer. WNGS carries old classic TV shows and movies affiliated with THIS, a joint venture between MGM and a Chicago-based broadcasting company. THIS TV briefly aired locally on WNGS several months ago after its former owner, Equity Broadcasting, and RTN parted company. RTN now is carried on one of Channel 2’s digital channels. Channel 2 also carries a few classic TV shows at noon weekdays and occasionally in prime time. One of the more frequently asked questions by local readers has been what has happened to WNGS? 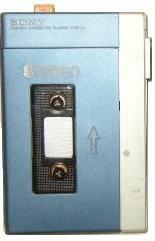 Many of the series – including “Mr. Ed” and “The Patty Duke Show” – are in black and white. The family-friendly channel also carries an extensive lineup of children’s programs and prime time movies. According to a TWC spokesman, the system must-carry WNGS in areas where it has enough signal strength. The channel is located in Springville. * TWC’s Prime Time On Demand feature — which is carried on Channels 705 and 1005 – also has a new wrinkle. The On Demand channel added ABC programs this week. Unfortunately, there are only a handful of ABC’s prime time shows – including “Castle” with Nathan Fillion ,“Cougar Town” with Courteney Cox, “Desperate Housewives” with Eva Longoria and “Private Practice” with Kate Walsh. And there are only one or two episodes of those shows available. There are no episodes On Demand of “Grey’s Anatomy” or “Modern Family,” which are two of ABC’s more popular programs. However, in a few weeks, more ABC programs should be available when TWC adds Prime Time On Demand HD to its lineup on Channel 705. The standard definition presentation of shows on Prime Time On Demand will be on Channel 1005. PTOD now carries prime programs of every major network but Fox. Did you miss seeing all the negative political advertisements when they were eliminated from the local TV newscasts the day after Election Day? But one negative ad is still worth talking about it. I saw the ad that attacked New York State Comptroller candidate Harry Wilson, a Republican, for the first time on Tuesday morning. In the ad, a few old-timers who worked at FiberMark, a paper and fiber manufacturing firm in the state, talked about the cuts they experienced after Wilson’s former company took it over. Wilson is a former partner of Silver Point Capital, an equity trading firm or hedge firm sponsor located in Greenwich, Conn. that specializes in restructuring companies. He left the company two years ago. The sad old-timers said in the ad that after Silver Point took over FiberMark it cut medical insurance, froze pensions and cut wages. In other words, it is was bad, very bad. And they thought voters should know who Harry Wilson was. I bring this up because the ad ran on Channel 7, which now happens to be owned by Silver Point Capital. The station’s employees haven’t suffered the pain mentioned by FiberMark employees but it hasn’t exactly been a picnic for union staffers since Silver Point took over, either. Undoubtedly, you’ve seen the union signs that ask viewers to turn the station off and claim that the owners have been unfair. Channel 7’s union staffers haven’t had a raise in three years and are working under an imposed contract. Why then, you may ask, did Channel 7 agree to carry the negative ad that attacked the practices of the company owns it? Under law it had to carry it. Stations also aren’t allowed to change any copy in political ads. By the way, Wilson – who was endorsed by the New York Times — lost to Thomas DiNapoli. * And the local winner on Election Night was Channel 2, the local NBC affiliate. It benefited from the decision of its network to begin Election coverage at 9 p.m., 30 minutes before ABC (Channel 7) and an hour before CBS (Channel 4). NBC’s prime time election coverage averaged a 7.5 rating on Channel 2, which would be decent for its entertainment programs. ABC, which ran a “Dancing With The Stars” results show at 9 p.m., averaged a 6.8 on Channel 7. CBS averaged a 5.2 rating. Interestingly, Fox News had a combined 6.0 rating for the hour it carried simultaneously on local affiliate Channel 29 and on its regular cable channel. In other words, the combined rating here was higher than CBS’ rating. Western New York definitely is Fox News country. The conservative channel’s rating more than doubled CNN’s average here on a big Republican night and was more than four times higher than the coverage on the liberal MSNBC. Thanks to its NBC lead-in, Channel 2 won a tight Election night battle with Channel 4 at 11 p.m. Channel 2 averaged a 9.9, Channel 4 a 9.6. Channel 7, Silver Point’s channel, averaged a 5.3. For much of the half-hour, all three stations carried Carl Paladino’s concession speech. At 10 p.m., Channel 4’s news on sister station WNLO more than doubled Channel 2’s news on WNYO, 5.7-2.7. 1) What speech was he watching? That wasn’t the B word I would have used. After a pleasant start, Paladino reverted to campaign form. His speech was full of Blame, with Paladino going out of his way to unnecessarily blast the media and showcase where he went wrong in the process. He never seemed to realize the media was just doing its job reporting on his self-destructive behavior during the gubernatorial campaign with Democrat Andrew Cuomo. “You could see it was difficult for him to say goodbye,” co-anchor Jacquie Walker said later. Agreed. It took several moments for Paladino to soak in the love from his followers before he started his speech. His followers were overheard loudly expressing their love, anger and frustration (primarily with the media) as Paladino spoke about the unfairness of it all. Puh-lease. The candidate had no one to blame but himself and his handlers, who on Tuesday night were laughingly trying to sell the conspiracy theory that the Associated Press and other media outlets were projecting Cuomo as the early winner because they weren’t Paladino fans. Any campaign manager who thinks the AP, NBC News and others outlets would jeopardize their reputation to “take out” a candidate they don’t like has listened to too many Sarah Palin speeches. I would include the tone of the concession speech in things that should have been done differently. 2) Cuomo wasn’t any classier in winning than Paladino was in losing. His victory speech – which came before Paladino’s concession speech – didn’t name Paladino but included several pointed remarks directed at him about attempts to divide the diverse population of New York. It would have been better if Cuomo had congratulated Paladino for winning the nomination and declined to throw more verbal bombs at the loser. But apparently that isn’t Andrew’s way. 3. Earth to Channel 2’s anchor Scott Levin. He noted early that both Chuck Schumer and Kirsten Gillibrand had won six-year Senate terms. Actually, Gillibrand – who was appointed to the job two years ago when Sen. Hillary Clinton was named Secretary of State — won a special election to serve the last two years of Clinton’s six-year term. She is going to have to run again in two years. I Googled that after CNN’s Wolf Blitzer said Gillibrand had won a four-year term. 4. Faulty Projection: The projection early was that Election night was going to be the night that Time Warner’s 24-hour news channel YNN came of age because it got a huge head start on the local channels covering the local elections. With the help of TWC’s NY1 downstate, it called the governor’s race right off the polls closed. But 20 minutes later, it carried a local YNN interview that may have confused viewers because it made it sound like the race hadn’t been decided. And then technological snafus and quick cutaways – including cutting off former Erie County Executive Ned Regan in mid-sentence — began. 5. Welcome to the 21st Century, Nancy Naples: A top Paladino adviser, Naples couldn’t believe that the networks and AP were calling the race before any votes were counted and held out hope that her candidate could still win. It has been decades since the networks waited to count votes before declaring winners via exit polls. 6. CNN Ends Senate Suspense Early: CNN’s John King noted before 9 p.m. how it was “almost impossible” for the Republicans to take control of the Senate shortly after Democrats won key races in West Virginia, Connecticut and Delaware. “This is a huge win for the Democrats,” Blitzer declared after Joe Manchin’s Senate win in West Virginia. 7. Projecting Maryalice, not Predicting: At 9:02, Channel 2 anchor Maryalice Demler said NBC News “is predicting” that Cuomo won the governor’s race. The word is “projecting,” which is based on exit polls. There’s a difference. 8. Trends Arrive Late in Buffalo: NY1’s Michael Scotto said on YNN shortly after the governor’s race was called that “word hadn’t traveled” about Paladino’s defeat to the hotel ballroom of the candidate’s headquarters for the night. It became a recurring theme, with all local reporters noting that Paladino supporters didn’t know what was going on. Fill in your own punch line. 10. There’s No Crying in Politics: John Boehner, the Ohio congressman who has done everything in his power to thwart President Obama’s agenda and now is expected to become Speaker of the House, got very emotional during his victory speech as he talked about the American dream. We tend during rough Election years to forget that politicians are human. Forgetting politics, Boehner reminded us that they are as he attempted to hold back tears. I’m not sure he succeeded. But then again, I’m not sure any politician can succeed at anything in these difficult and divisive days. That’s apparent from the ratings for the first two mornings of the 6 a.m. program that is now without Bridget Blythe. Channel 7 averaged a 2.0 rating for the two mornings. It got a 1.8 rating for Monday’s premiere, then rose to a 2.2 Tuesday. Those ratings are in line with the average for the morning program when Blythe and Mike Randall (who remains on weather) were co-anchors. (This just in: Wednesday’s rating rose to a 2.7, a figure the Blythe-Randall version hit at times). It might have helped if Channel 7 did more promotion of the new team or better yet paired Taney and Geoffery in September when the new TV season began. * The new LeBron James ad for Nike that deals with his image as a villain after leaving his native Ohio (Cleveland) for Miami is an instant classic. It cleverly answers his critics and beautifully delivers the message that James was doing what he felt was in his best interest and not what others wanted him to be. 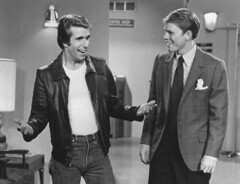 * Speaking of classics, Channel 2 is airing a Halloween episode of “Happy Days” (see picture of Henry Winkler and Ron Howard above) at 7:30 p.m. Saturday and two classic episodes of “The Twilight Zone” from 9 p.m. to 10 p.m. on the same night. The programs are hosted by Lydia Dominick, the host of the station’s classic programs running at noon weekdays. Channel 2 is preempting Saturday repeats of the “Law & Order” series but is running them at different times. * The political advertisements running have been a gold mine for all the local TV stations. They’ve accounted for more than half the ads in many newscasts and as much as 80 percent to 90 percent of the ad time on Channel 2’s news time at 6 p.m. In case you are wondering, the stations aren’t allowed to fact check the ads. They allow all the candidates to say whatever they want to say about their opponents. And they’ve said just about everything. * Today is the start of the November sweeps but don’t expect any big entertainment programs from the networks. Sure, there will be some big guest stars in many programs. But the days of big events have long since passed as the networks relay on their popular series now more than ever to grab audiences. * The New York Giants 41-35 victory over the Cowboys on ESPN’s Monday Night Football scored a 11.9 local rating, which was higher than every network show here that night except ABC’s “Dancing with the Stars” and CBS’ “Two and a Half Men.” And the football game lasted much longer than those two entertainment programs. *Finally, it is only a few days before ABC programs are scheduled to join the On Demand feature on Time Warner Cable. TWC had previously said the feature will be available Nov. 2, which is Tuesday.